The modern and competitive organization cannot exist without the business strategy, which is regularly executed. The organization without goals dies as it has no direction. Employees and managers do not cooperate, and they do not share any common vision. They have no idea about the final status and life in the organization is rather chaotic. HR has to design process for the objectives setting and monitoring the progress. The goal setting and monitoring process is a complex HR process, which needs many inputs from the business like from Finance, Sales, Operations and external market monitoring. HR is responsible for designing the process and setting basic rules for goal setting in the organization. The goal setting process helps to navigate the organization in reaching the business strategy. The complex and long term activities are planned, and the individual steps and milestones are defined and progress is monitored. The Finance Department monitors the progress on the company level (visible in financial results), and HR runs the process on the individual employee level. HR is responsible for setting the methodology for goal setting in the organization. The goals are not just business wide; they have to be personal as well and they have to contribute to the development of skills and competencies in the organization. The goal setting and monitoring process is about the strong inclusion of managers into the development of the organization. They set goals; they monitor the progress; they decide about correction steps and interventions. Managers are a crucial key success factor for the goal setting process. Managers have to understand the business strategy in a detail, and they have to understand, which initiatives are the most critical ones to reach the defined long term goals of the company. HR has to define the methodology for goal setting. The goals should be SMART (specific, measurable, achievable, realistic and time-targeted). However, they should be challenging employees and developing them. Managers tend to forget about the development part of goals. Employees do not like to be stretched to limits without receiving benefits out of it. The goal setting process is about the discipline in the organization. The broken goal setting process does not make any immediate damage, but it hurts the performance of the organization in a long term view. HR has to objectively monitor the whole process, and it has to prepare fixes. HR has to work with managers, and it has to prepare many training courses about the correct goal setting for employees. 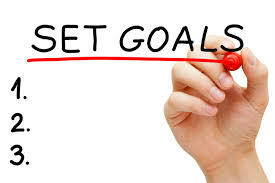 The goal setting process is a part of the performance management. It has to be well connected with the performance appraisal process. Managers and employees have to see the logic behind both processes. The goals cannot be disconnected from the appraisal. Designing the efficient process is demanding.